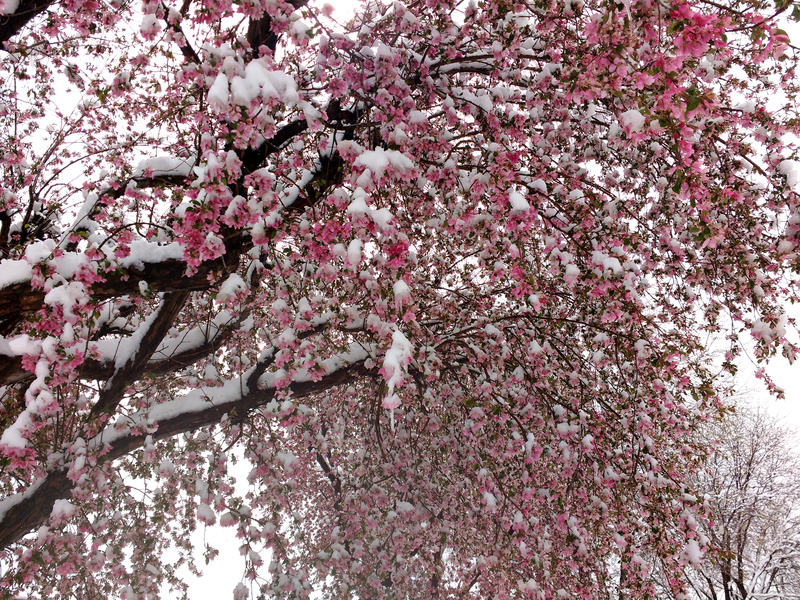 Free high resolution photo of snow covering a blooming crabapple tree. This picture was taken after a late spring snowstorm. This crabapple tree was in full bloom, covered with pink blossoms or flowers. The branches are weighed down with the heavy snow. Free image for any use.